MIG is a rubber industry with headquarters and factory located in Anagni, Italy, and has close to 50 years’ experience in the tyre retreading field. MIG manufactures and exports curing tubes, bladders and envelopes worldwide. They are able to comply with all demands from retreaders whether it is “hot type plants” with tube or bladders presses, or “precured type plants” with double envelope/tube or rimless envelope system. Ferlex has over 30 years’ experience in producing more than 2,000 autoclave for various purposes in Brazil from light truck to OTR tyre and ranging from 6-tyre to 30-tyre. With safety, quality and breakthrough technology, Ferlex autoclave provides high output and uniformity in production line to our clients. Matteuzzi was founded in 1956 and is located near Bologna, Italy. Since its establishment, it has produced a vast range of machinery and equipment for different sectors sharing one thing in common: manufactured rubber goods (tyres in particular). Matteuzzi produces machines for new tyre manufacturers, as well as tyre retreaders for cars, light trucks, trucks, earthmovers and aircraft. 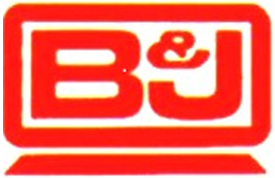 B&J founded in 1942, is the unquestioned industry leader in tire buffing products for the retread industry. B&J Manufacturing revolutionized the tire buffing process by introducing a system using blades rather than tacks, the now famous B&J Rocket Rasps. Not satisfied with resting on their laurels, B&J continued to be at the forefront of new blade technology, introducing names that became synonymous with retreading such as Saturn, Apollo, Gemini and Eagle. 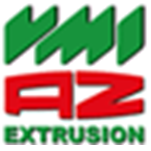 The VMI-AZ extrusion division of TKH Deutschland GmbH specialises in rubber extruders, pre-formers and retread systems. It has over 75 years of experience in high quality development, manufacturing and service. Products produced by the extrusion division include pin-type and gear pump extruders, straining, high precision rubber feeding and retread systems. These innovative systems have been acknowledged and proven as reliable assets within global production environments. VMI-AZ’s success is defined from a dedicated commitment to supply innovative and reliable services and equipment on a constant basis. Since foundation in 2006, 4JET has become a leading supplier of laser systems and technologies for surface processing in Germany. They innovative laser systems for ablation, cleaning, patterning and modification of high-quality surfaces. By combining laser process technology, optics, software and mechanical engineering they create integrated production systems. AkarMakina located at Turkey was founded in 1990, supplying a full range of OTR (Off-The-Road) Equipment,including buffers, autoclaves, building machines, work stations, tire lifter, inspection spreader, envelope spreader, dust collection cyclone, and etc. Supplying high quality patches and sanding drum. Nice blog shared. Shree Tyres is the manufacturers and distributors of michelin tyres pune and other brands of tyres. Thanks for sharing. This is very well explained blog, thanks sir, for sharing this information with us. Anant Rubber is one of the best Rubber buffers supplier and manufacturer companies in Pune, Maharashtra, India. We Supply various shapes and sizes of rubber buffers at the best prices. Rubber buffers are available in natural, neoprene and other rubber materials.